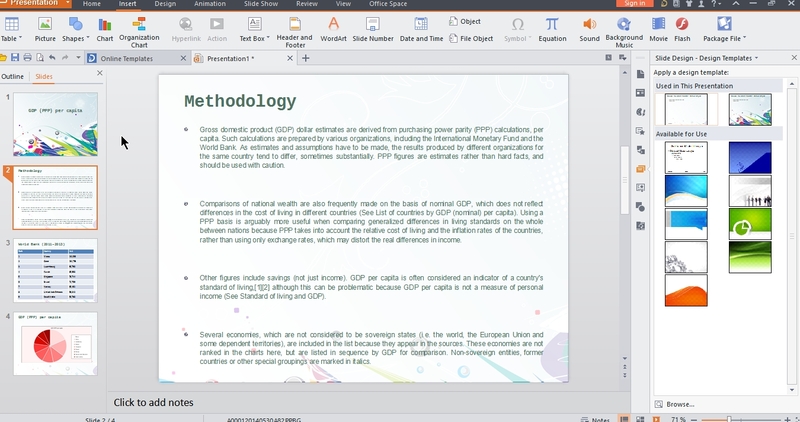 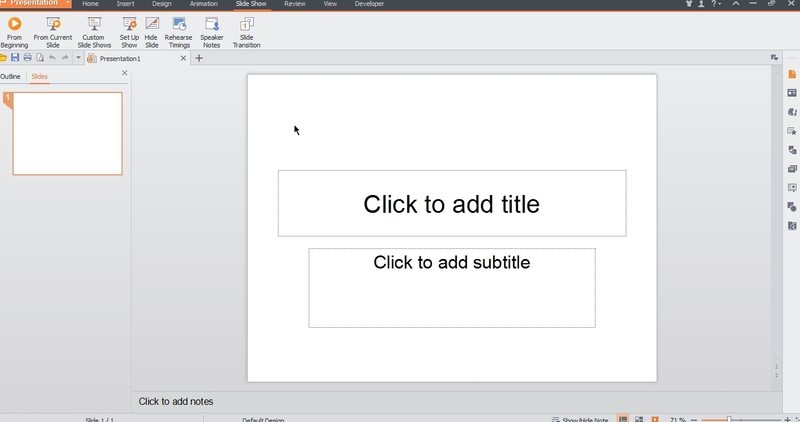 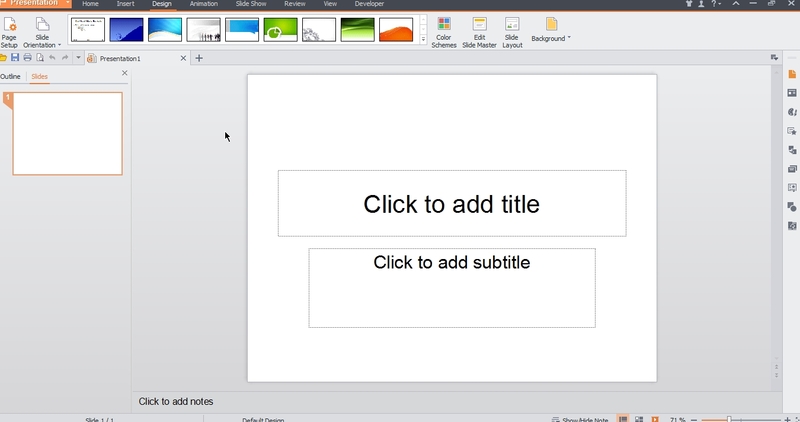 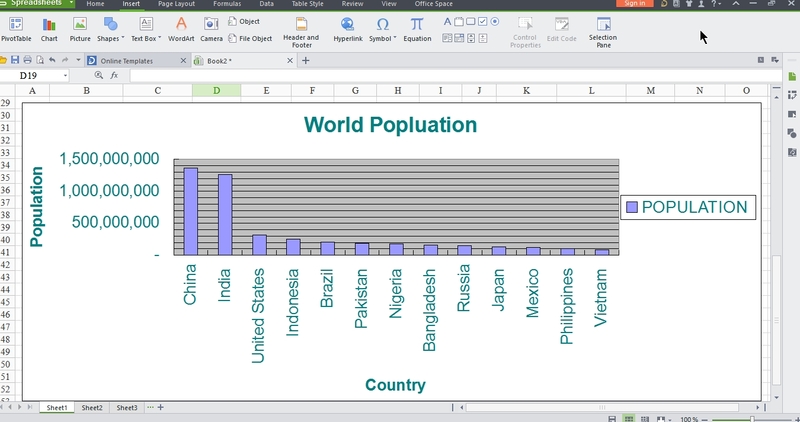 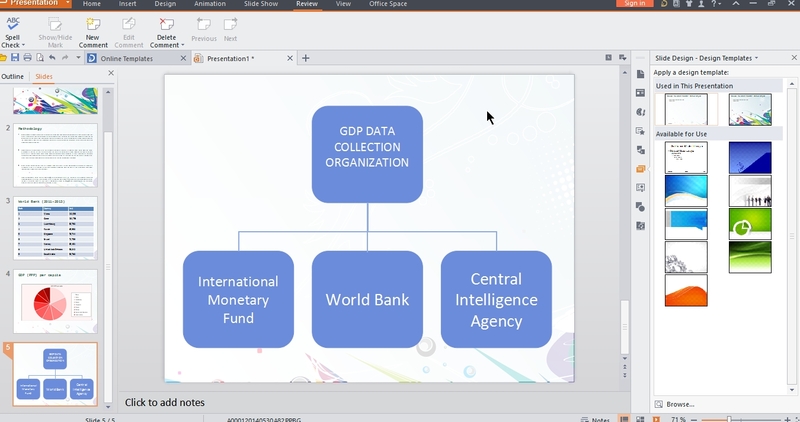 WPS Office Free is a comprehensive office suite that provides you with the ability to perform a wide array of tasks related to the creation, editing and display of text documents, slideshows and data tables. 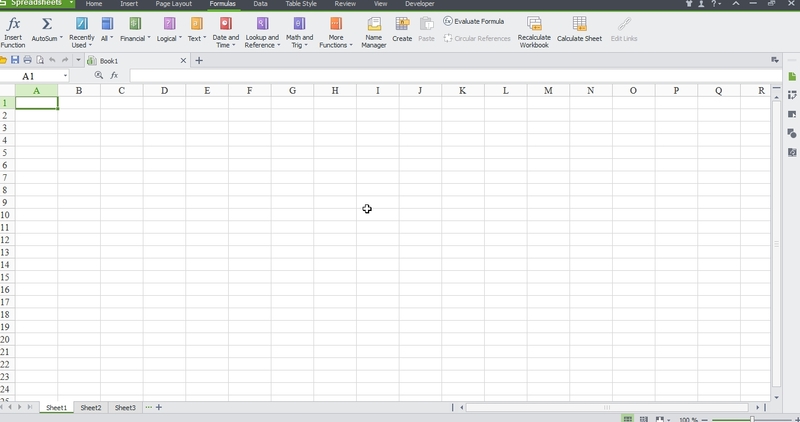 This software package offers three distinct components, namely WPS Writer, WPS Presentation and WPS Spreadsheets, each with their own individual purpose and numerous functions. 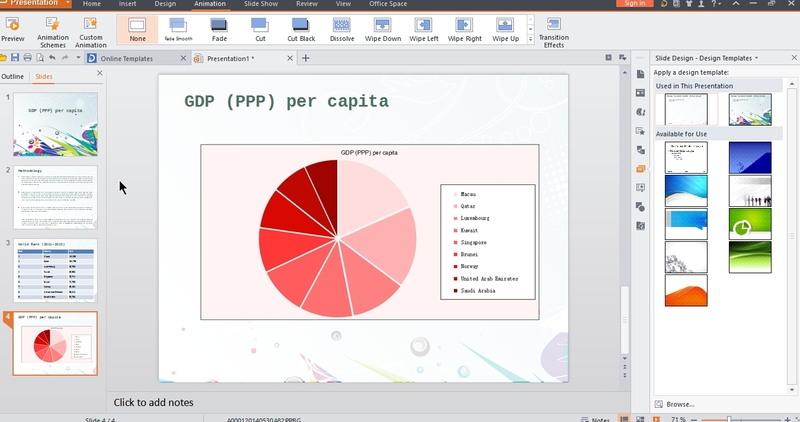 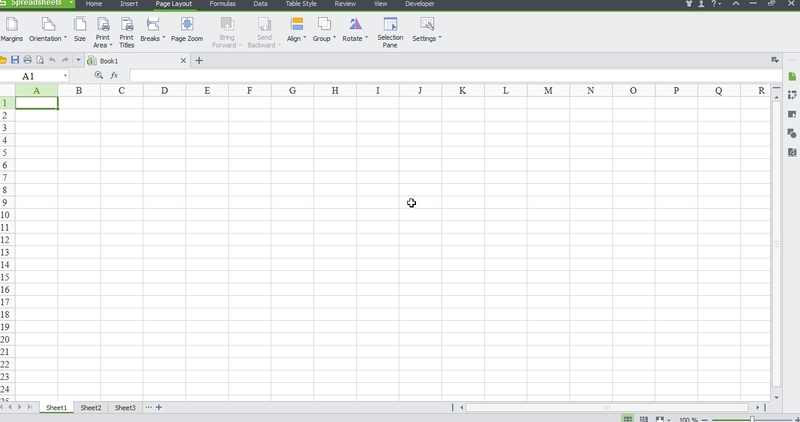 However, they all share the same user-friendly and clear-cut interface, making WPS Office Free quite accessible to anyone, regardless of the office suite that you have used in the past, if any. 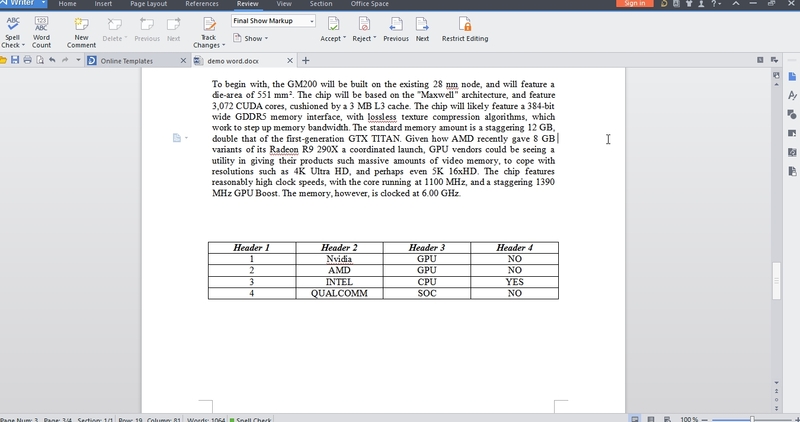 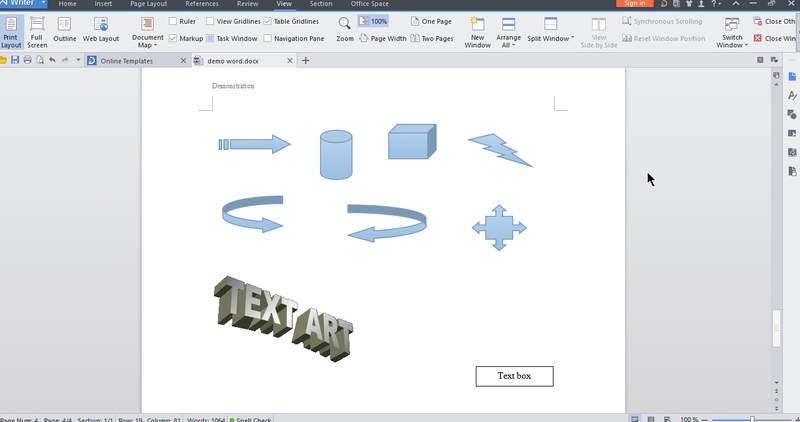 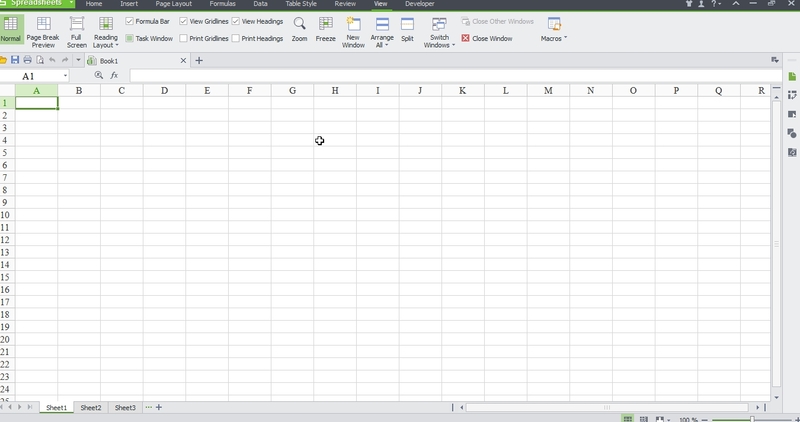 Although it is a free suite, Kingsoft Office comes with many innovative features, including a paragraph adjustment tool, and multiple tabbed feature. 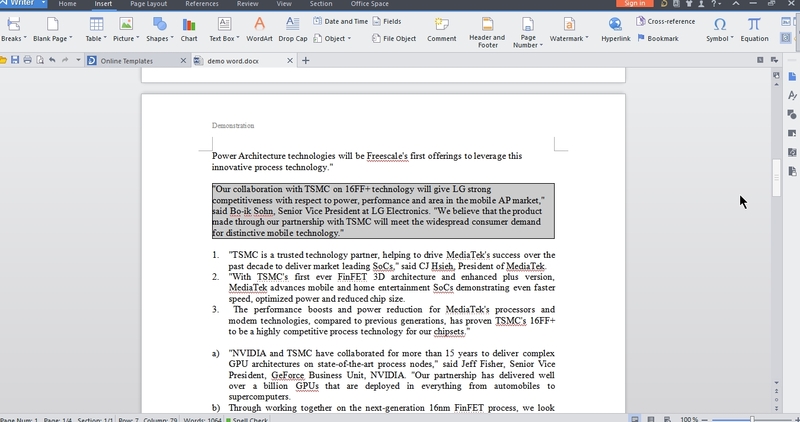 It also has Office to PDF converter, automatic spell checking and word count features. 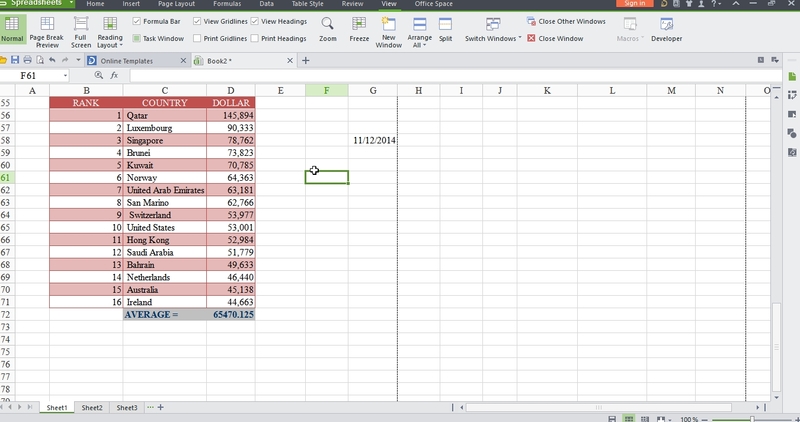 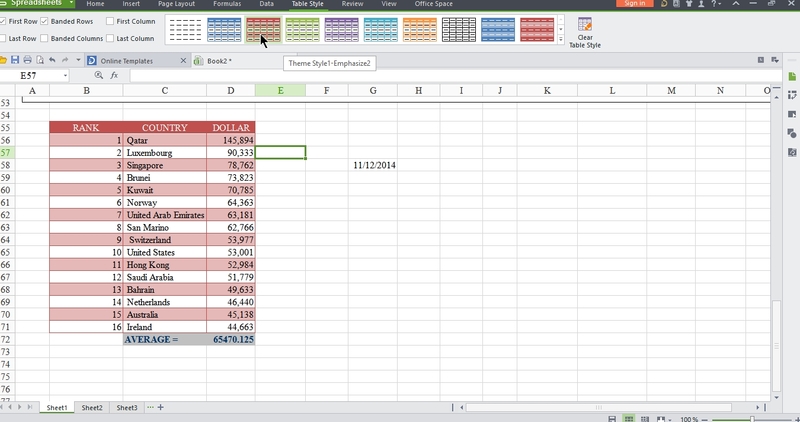 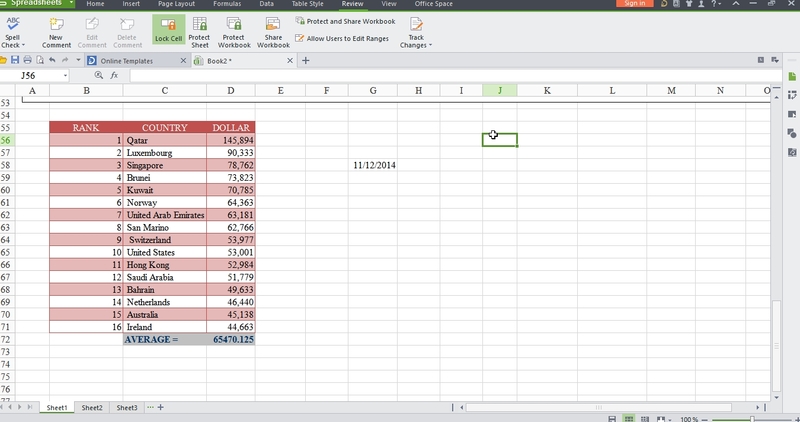 The latest free Office 2013 supports saving files as DOCX and XLSX. 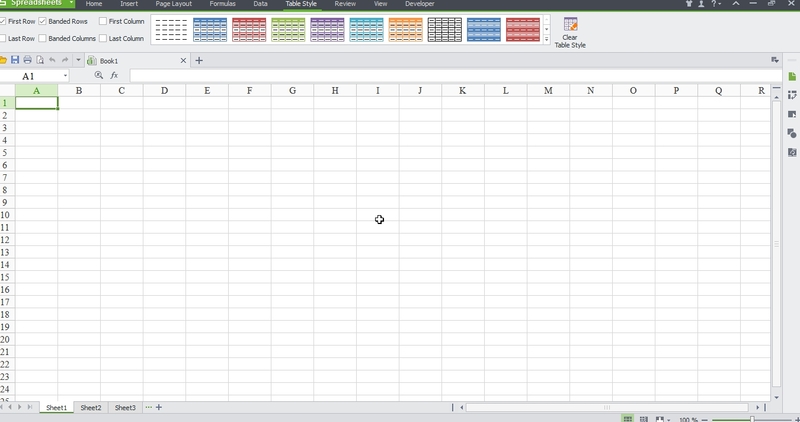 Very similar to microsoft office but its very light on system. 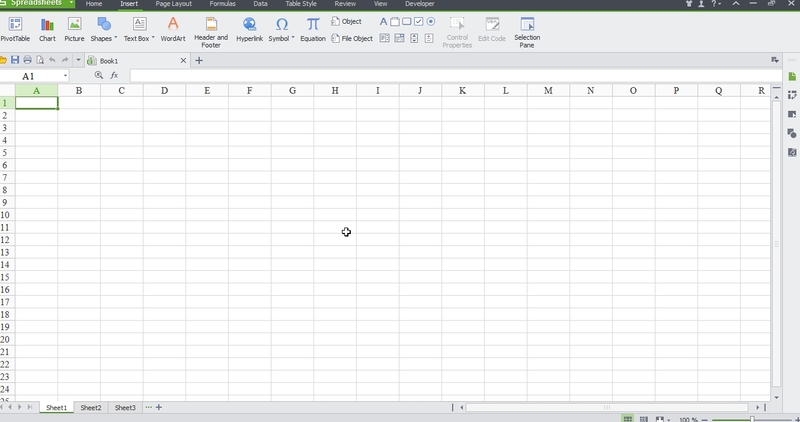 Can do what most people need to do for free. 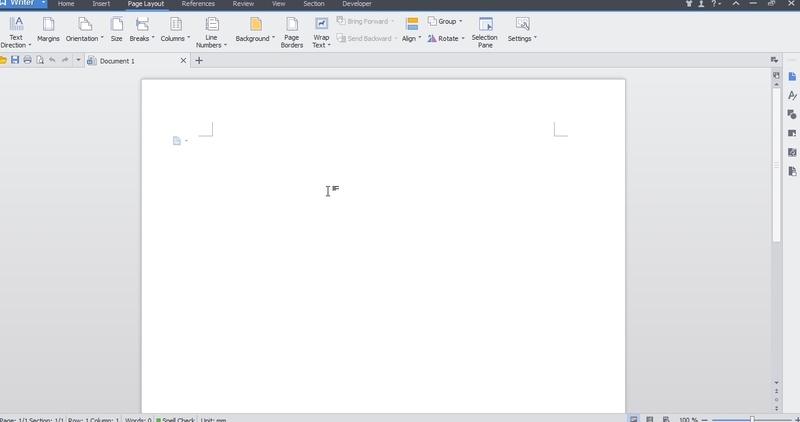 The setup file size is small and does not occupy huge hard disk space like microsoft office. 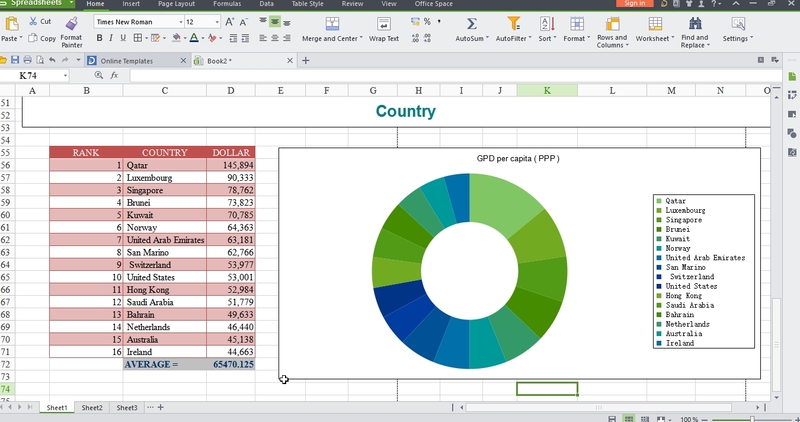 Most people can do with it and do not need to buy costly microsoft office. 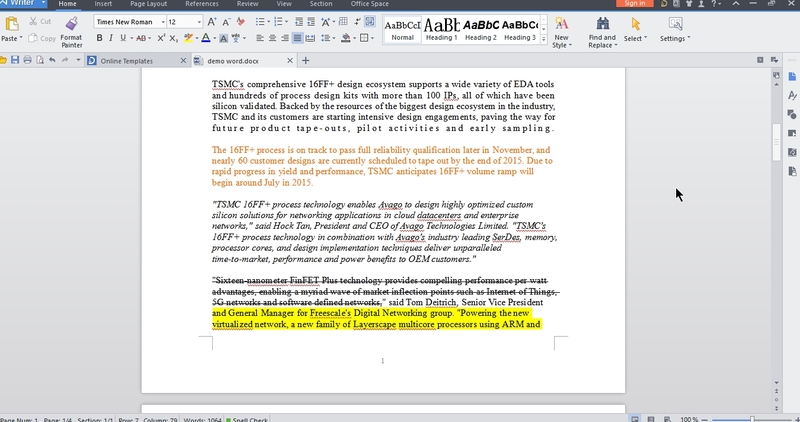 With Kingsoft Writer 2013, you can edit paragraphs easily by dragging-and-dropping. 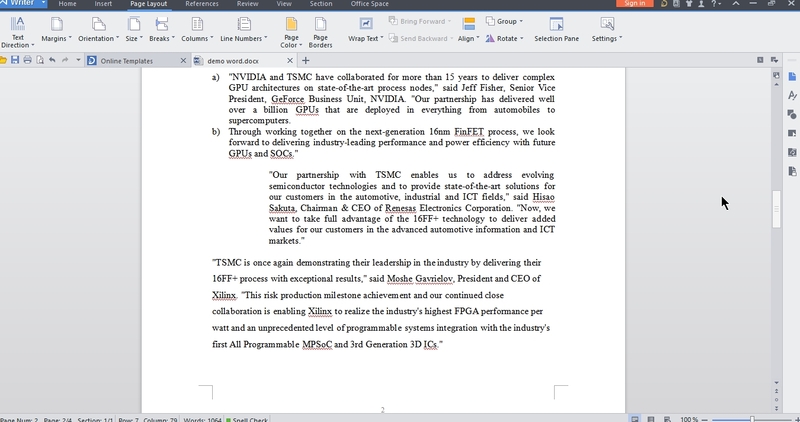 This paragraph editing tool allows convenient adjustments of a paragraph’s indentations and line spacing. 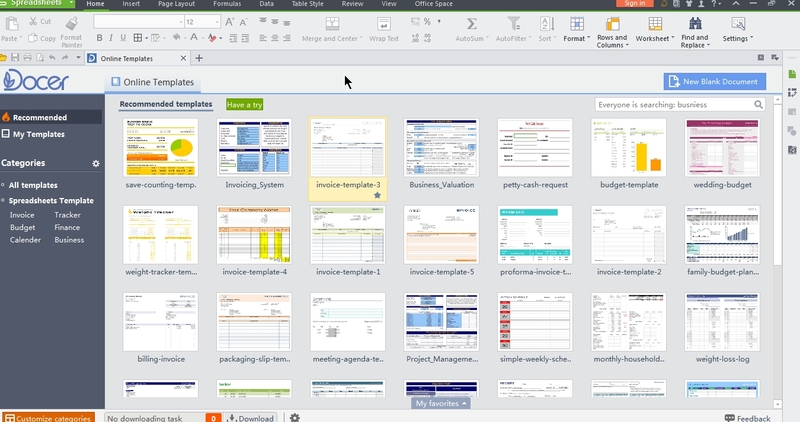 Avoid the hassle caused by switching between multiple document windows. The tab bar that appears above the editable area allows you to switch between documents quickly and conveniently. 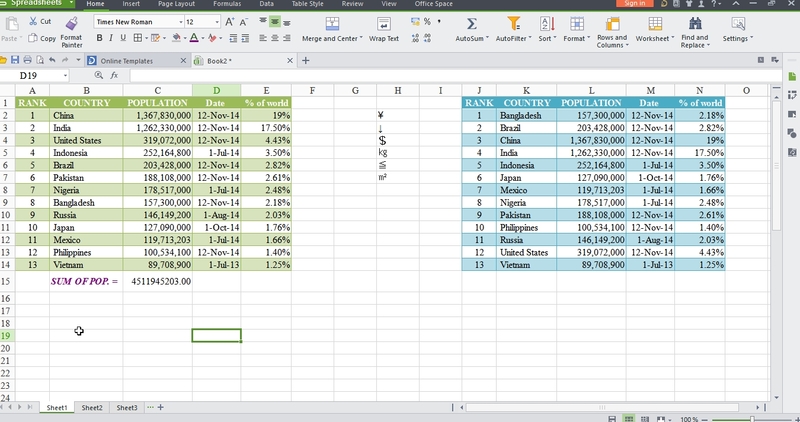 Office Free offers a large number of table styles to help you insert colorful tables, and add great vibrancy to the boring data. 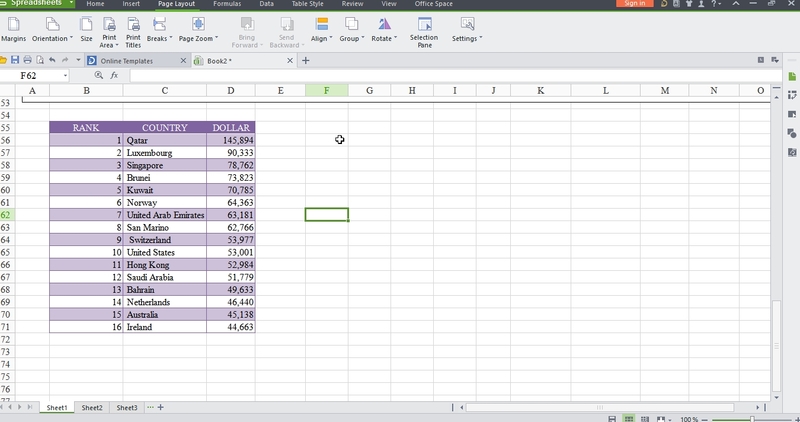 Quickly select, move tables, and add additional rows or columns by clicking shortcut operations on the table. 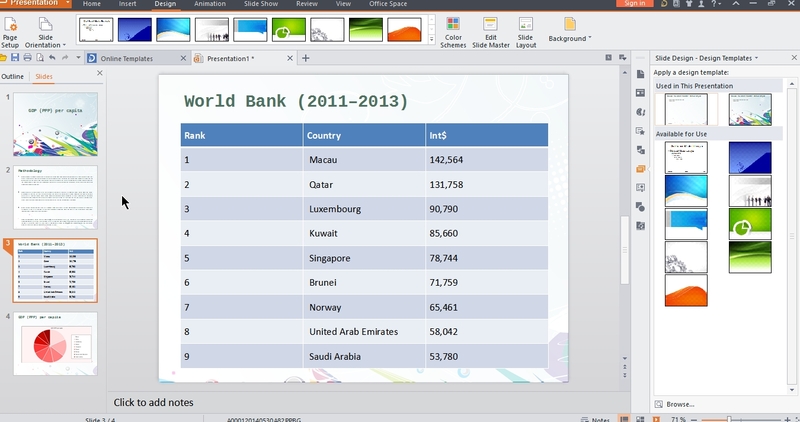 Export files created with Kingsoft Writer, Spreadsheets and Presentation directly to PDF format. 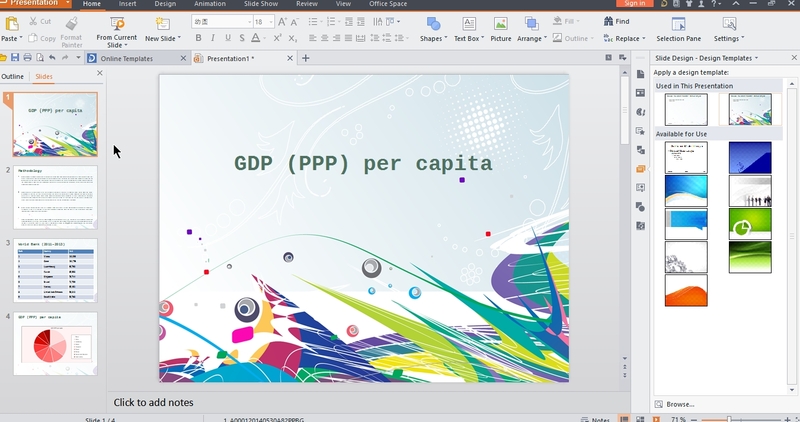 Open and convert Microsoft Word (.doc, .docx), Excel (.xls, .xlsx) and PowerPoint (.ppt, .pptx) files to PDF format. 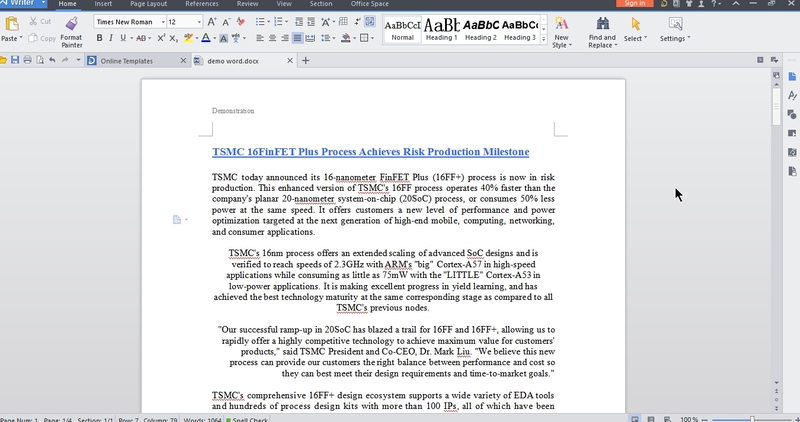 Use the built-in spell checker to proofread your word document. 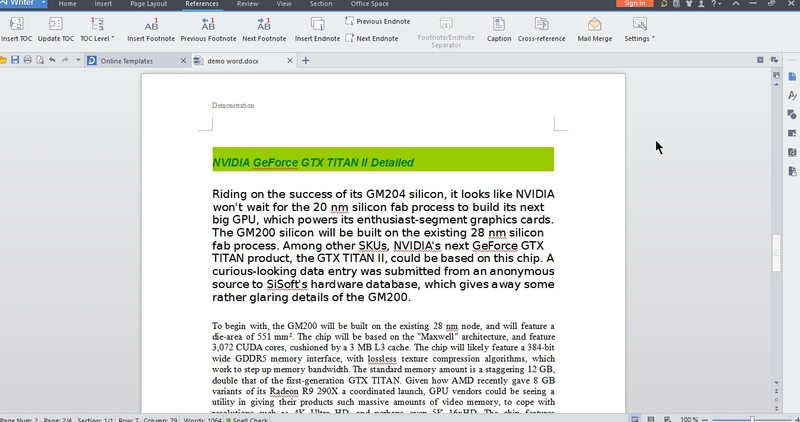 Any incorrect words are underlined in red while you type. 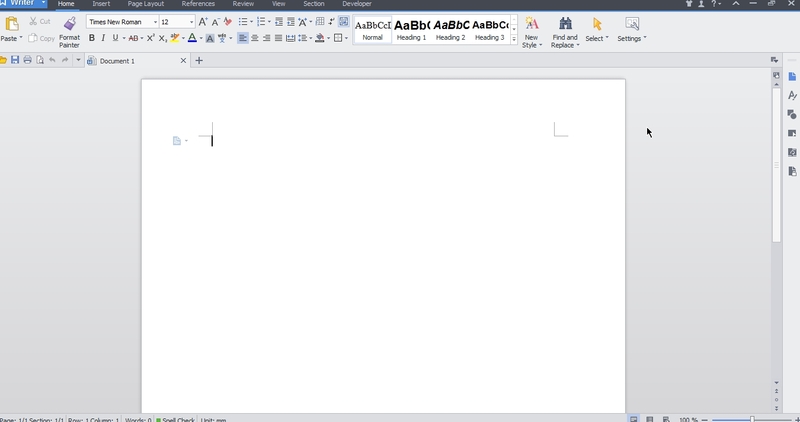 Writer Free will suggest a list of possibly correct words to help improve your word document. 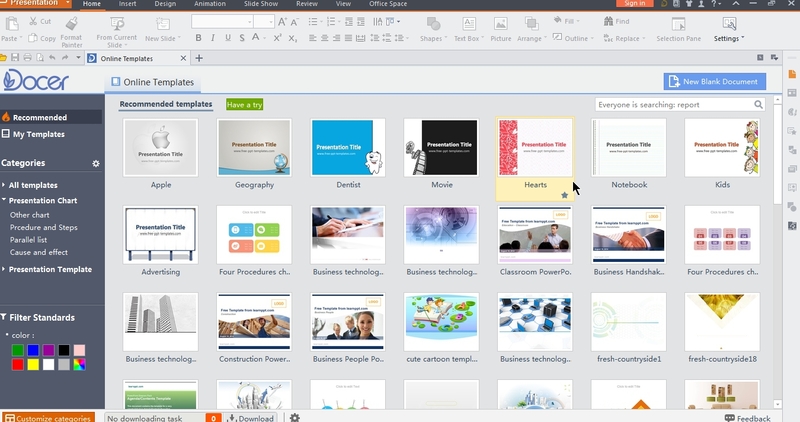 The install package is just 39MB, which is less than one-tenth the size of other office suites. 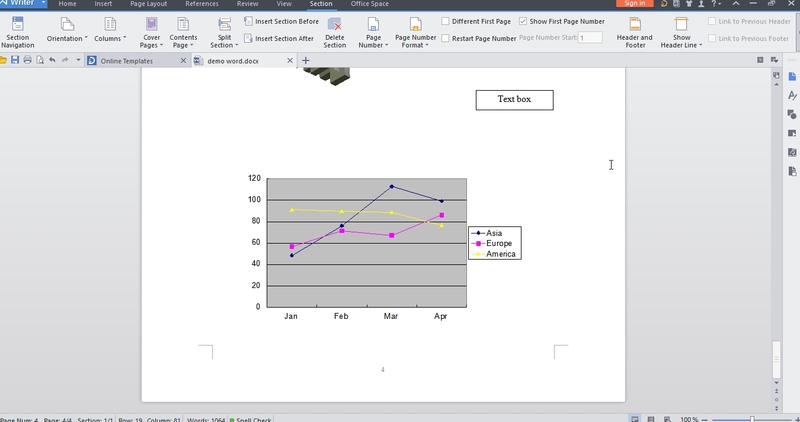 Taking up less space on a computer means the software runs significantly faster than other office suites. 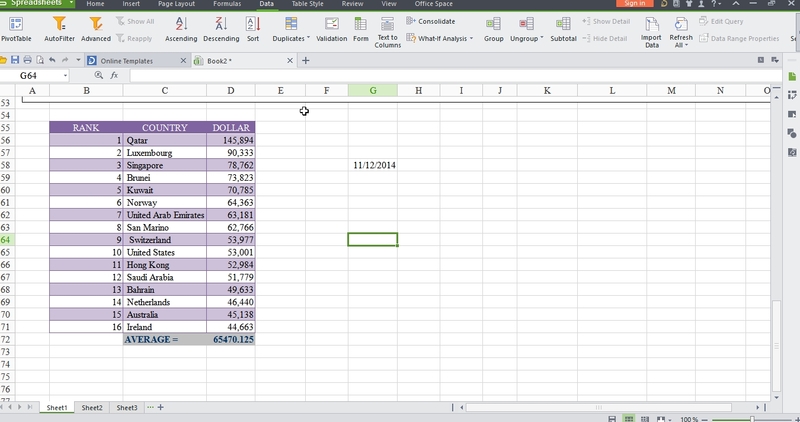 Protect your privacy by preventing others from viewing or changing the files. 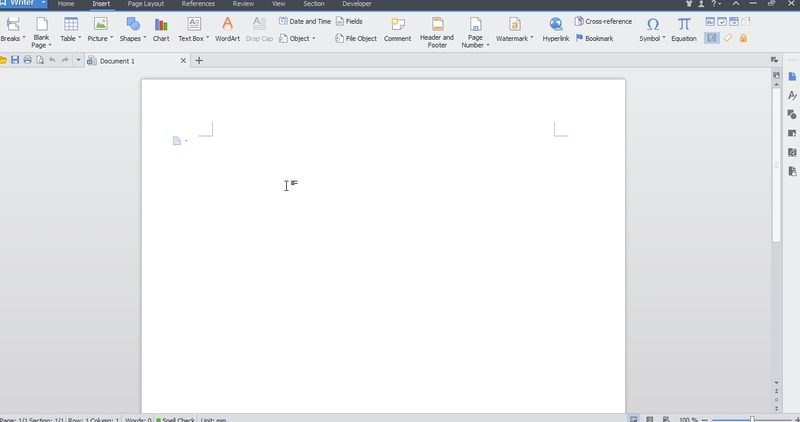 Enter a read-only password to only allow file browsing, and a read-write password to both browse and modify. Protect privacy to prevent others seeing or changing the files. 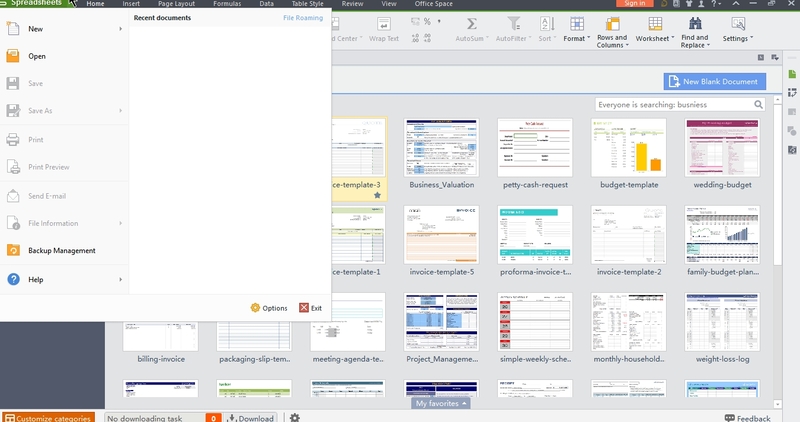 View and edit email attachments by Kingsoft Office. 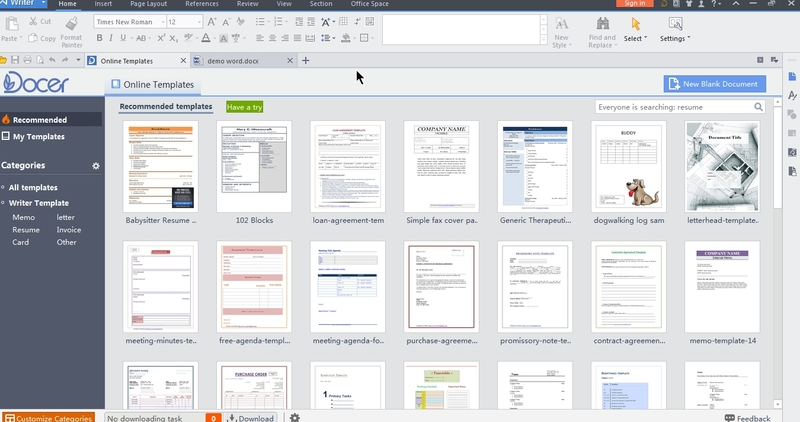 The built-in emailing function makes it easy to share documents. 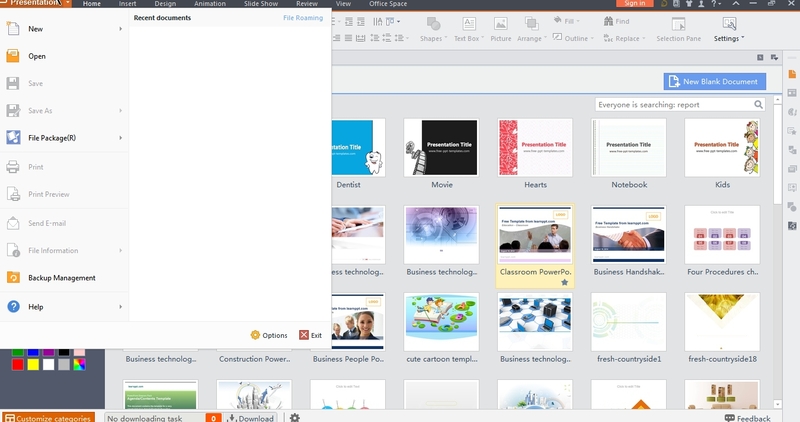 If you have files in formats common to other office software packages, you need not worry about compatibility issues, as Kingsoft Office is readily capable of opening and editing files in such formats. This is not just limited to .doc, .ppt and .xls formats like other open-source alternatives, but even includes the modern Open-XML .docx, .pptx and .xlsx formats. 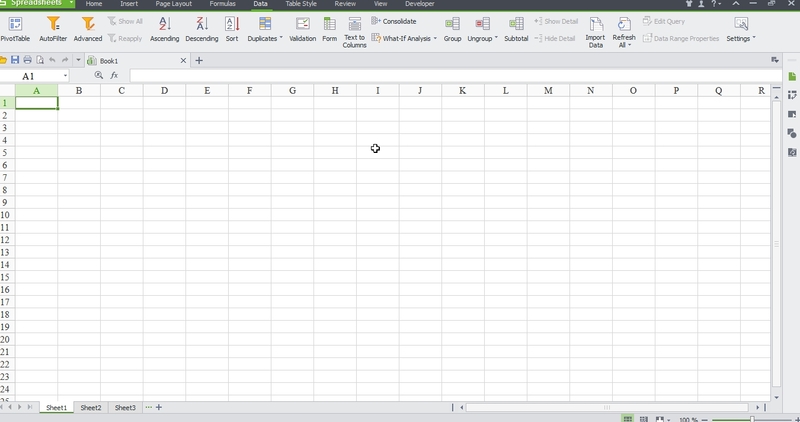 Output file formats: Excel (97/2000/2003/2007/2010) .xls, .xlsx, .xlsm, .xlt, .csv, .et, .ett and more.